Since breakfast is the first (and earliest, for all you non-morning people!) meal of the day, it’s easy to make excuses as to why you don’t have time for it. 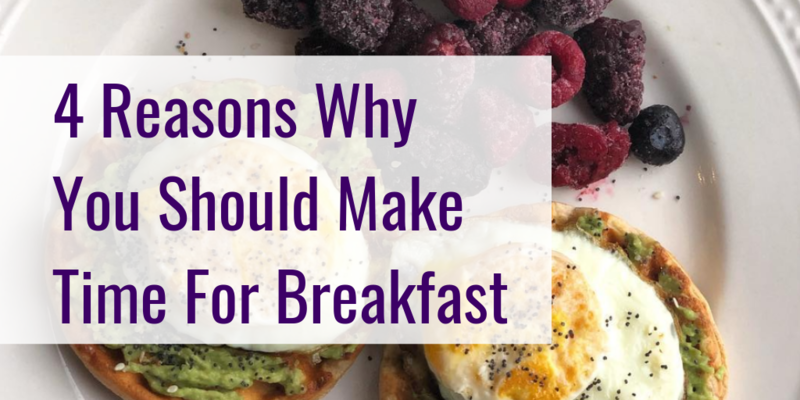 One saying that has always stuck with me is, “If you fail to plan, you plan to fail.” This applies to breakfast: it takes minimal effort to make on-the-go breakfasts ahead of time! If you spend just 5-10 minutes on a Sunday night prepping breakfast for the week, all you have to do is grab it and go – easy to fit into a busy schedule! Eating breakfast helps get you through the morning and to lunch, and it is better for your overall health to eat the majority of your calories during the first half of the day. After a night of fasting, it is so important to fuel your morning workout. That means getting some source of simple carbohydrates and protein that your body can easily absorb. This could be from a banana and peanut butter, a clementine and string cheese, a small handful of granola, or a granola bar. Think of it like making your bed in the morning: if you can tackle the first task of the day as soon as you get out of bed, you’re more likely to stay motivated to continue to meet your goals throughout the day. This can apply to breakfast too! 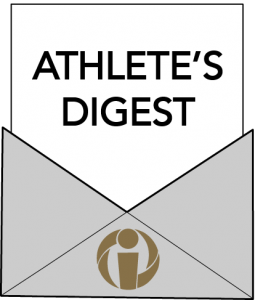 If you choose to have a donut for breakfast, you may develop the attitude of, “Oh well, it’s too late to eat healthy now,” which can lead to a higher likelihood of making poor dietary choices later. However, if you start your day with a healthy breakfast and a good workout, you are more likely to feel accomplished and motivated to stay on track throughout the day. Success is a domino effect. One huge mistake I see in clients is that they cut out the calories allotted for breakfast because they think it will help them lose weight. Skipping breakfast often leads to an increased risk of binging throughout the day. If you don’t get the fuel you need in the morning, you will be hungrier and more likely to consume too many calories at lunch, dinner, and snack time! Prepare multiple mason jars at a time, put them in the fridge, then eat them cold or toss them in the microwave in the morning. I love this recipe and it could also be made with berries instead of the peanut butter. These are super easy to make and take on the go. Mix together 6 eggs with a splash of milk, your choice of veggies (I like chopped spinach, peppers, or broccoli), some cheese, and cook them in a greased baking tin for about 10-12 minutes at 350 degrees. If you have more time in the morning, breakfast burritos are a great meal! Grab a whole-grain tortilla or wrap and throw in some scrambled eggs, veggies, cheese, and salsa. There you have it-a gourmet meal that tastes delicious. Filled with protein (my favorite is the Dannon OIKOS Triple Zero because it is packed with protein, has 6 grams of fiber, it’s lower in sugar, AND it tastes creamy). Add some granola and fruit or have a piece of whole-grain toast on the side with peanut butter or jelly. These take a little bit more effort, but they are easy to meal prep and mix up your everyday routine when you have more time on the weekends. I would recommend making larger portions of each of the ingredients so you can eat throughout the week. My favorite combination is sweet potatoes, uncooked grape tomatoes, some kale sauteed with seasonings, and a fried egg with crushed red pepper.